The Robot Coupe J80ULTRA automatic centrifugal juicer has an auto feed system that lets users continuously insert foods into an automatic three-inch feed tube. 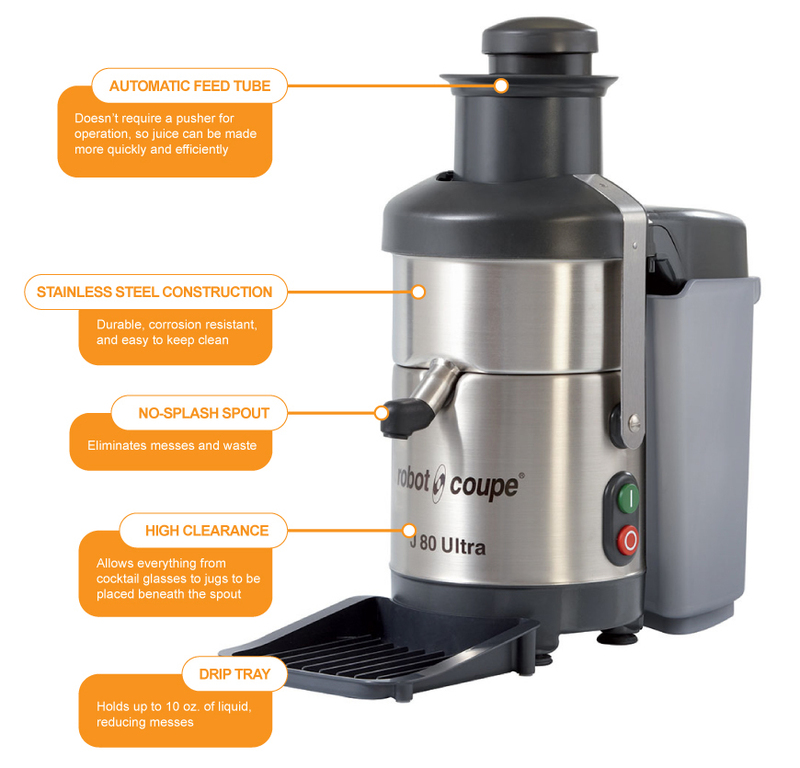 A stainless steel juicer basket, filter, grating disc, and motor unit simplify cleaning, while the quiet induction direct drive motor has a motor brake and magnetic safety device. To prevent messes, it has a no-splash spout and removable drip tray. It has a 63⁄8-inch clearance so large glasses and jugs can fit under the spout, and it can extract 120 liters per hour. An ejection chute guides a constant flow of pulp into a bin and stores it under the worktop, or pumps the pulp into a 6.5-liter container. 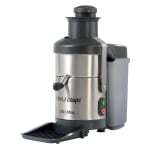 Take a look at our juicers explainer to learn more about these units.